Sixt is an international vehicle rental agency, with 4000 offices in 100 countries and across all continents. It is the leader in vehicle rentals in Germany and the company is developing worldwide, especially in France, in Lyon, where it just set up a new office. 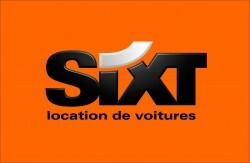 With this 1st agency in the heart of Lyon’s city centre, Sixt plans to set up and become a part of the local economic fabric. Aderly helped the company to set up by finding them premises in the city centre and working on their communication plan; Aderly also connected Sixt with ONLYLYON, the city’s international marketing brand. In order to stand out, Sixt aims to satisfy the needs of all their customers, whether they are using their services for business or pleasure. They do so by offering a wide range of vehicles, from city car to saloon, as well as utility vehicles, which is a first for a rental agency in Lyon’s city centre. “We want to provide high quality service and high levels of satisfaction. Whatever your needs, come and see us!”, Bertrand Chabrier, Manager of the new agency.